United Enviro Systems | Hazardous Waste Management Experts Serving the NY Metro Area, and the entire United States including Puerto Rico. 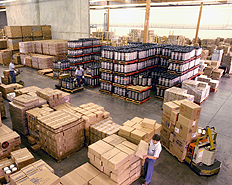 United Enviro Systems, Inc., has been providing superior services to various Warehousing Facilities since 1982. Our expertise in handling the various quantity and types of wastes produced by these facilities, as well as utilizing a multiple outlet approach to manage the large volumes of waste produced , enable UES to provide turn-key services no matter the size of your facility. We are easy to contact. Call our office and you will always talk to a real person who will quickly and expertly answer your questions . UES Inc. takes the guesswork out of properly disposing of your waste materials. We will sort, inventory, pack , arrange disposal options, transport and document all waste from your site. We can set up a regular service interval and help keep you compliant with the maze of regulations that must be met. United Enviro Systems Inc. Where our Values are Valuable to you. We are large enough to handle all your needs and small enough to give you the personalized services your expecting and more. 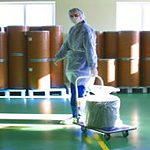 Bulk Wastes Solvents, Corrosives, Waste Waters, Semi Solids and solids. Through our network of Transporters and Disposal Facilities, we can provide you with cost effective, safe and environmentally friendly disposal options. Whenever possible, UES will try to arrange for the recycling or beneficial reuse of your waste streams. From Drums to Roll-Offs to 6000 gallon Vac Trucks, no job is to big or to small. Emergency Response We are always on call to help with chemical emergencies at your site. Batteries: Lead Acid, Alkaline, Nickel Cadmium, Lithium, etc. E-Waste: (Electronic equipment) Computer equipment: Monitors, CPUs, Printers, Fax Machines, Phone, etc. Fluorescent Lights: and similar Mercury hazards: Mercury switches, Mercury vapor lamps. Maintenance Materials Unused or spent chemicals must be disposed of according to Government Regulations some examples: Oils, Paints, Aerosols, Boiler Treatment Chemicals, etc.